Some dogs just don’t want to let you out of their sight. When you’re packing for your next brewtrip, those “never leave me” dogs will bring over their favourite toy for you to pack too. These are excellent buddies to brewtrip with! Doesn’t matter what you’re doing, they think it sounds awesome! That’s what you’re getting with Basil! 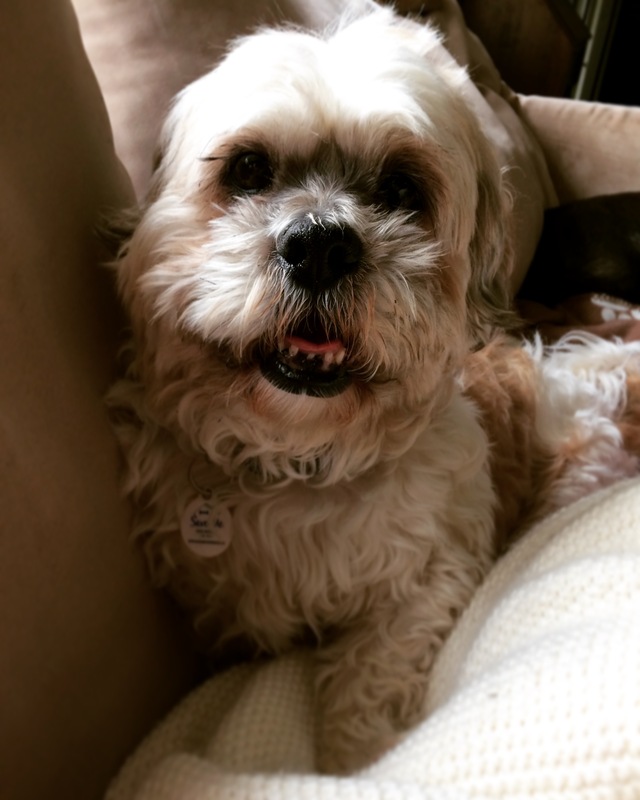 This adorable 12-year-old Shih Tzu mix is no old man. He’s a puppy at heart who came from a horrible situation. 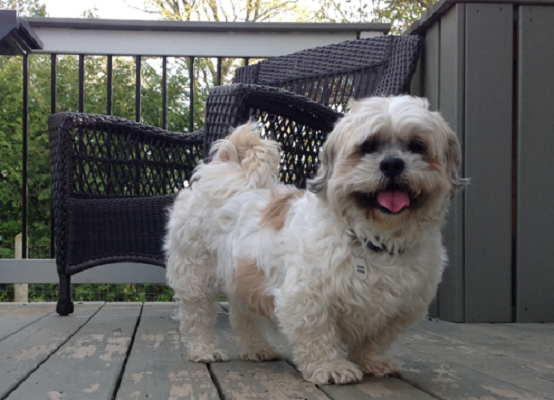 Basil was rescued from a puppy mill more than six years ago along with several other dogs. He spent the first half of his life confined to a cage, getting out only to breed. When Basil was rescued, he was not even close to being adoptable. So, his foster mom at that time decided to adopt him. Today, Basil is an entirely different dog. Happy, fun-loving and very much adoptable! Have we mentioned how much we love foster families that take in rescue dogs and help them find loving families? They don’t get nearly enough credit. Unfortunately, Basil’s amazing rescue mom passed away. But she made sure he went to Save Me Rescue so that he’d have the best chance of finding his forever family. Now, Basil has found his way into the home of Colleen. She is the amazing person that introduced us to our rescue puggle, Gracie. You need to follow her on Instagram to see the wonderful life she gives to the rescues that enter her home. Basil is looking for the perfect brewtripping family to bring him home – quirks and all! Any rescue dog parent will tell you that the dogs often come with a pretty unique personality. And their new families need to have the right personality to make sure their dog gets the right attention and care. That is multiplied ten fold when you are talking about former puppy mill dogs. And because of this, poor little Basil is Save Me Rescue’s second longest resident. 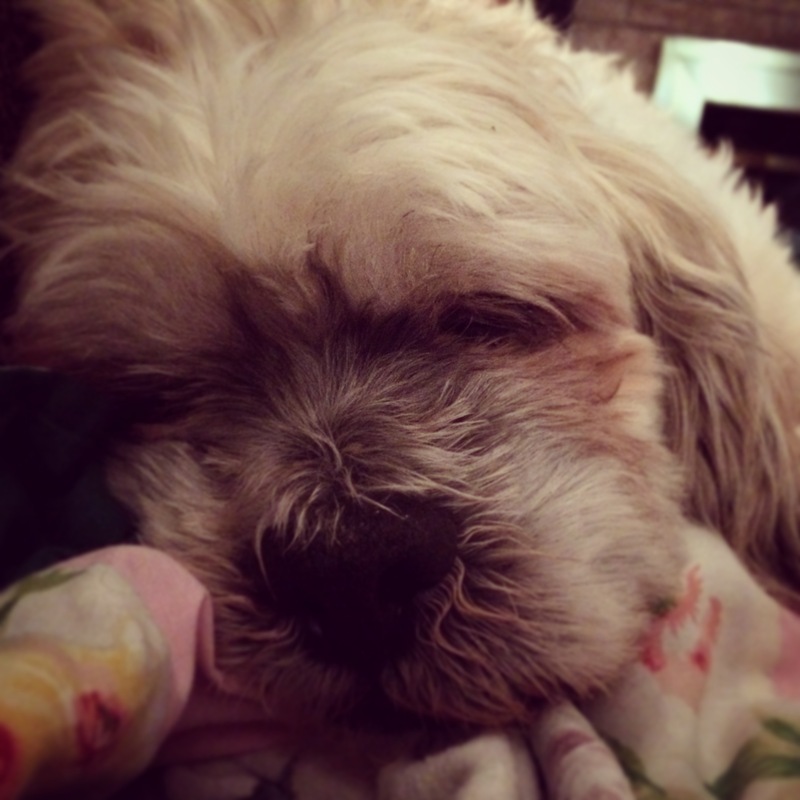 It takes time to find the right family for a puppy mill survivor like him! Basil has never been alone in his whole life. So he has strong separation anxiety – and not the kind that gets trained away. 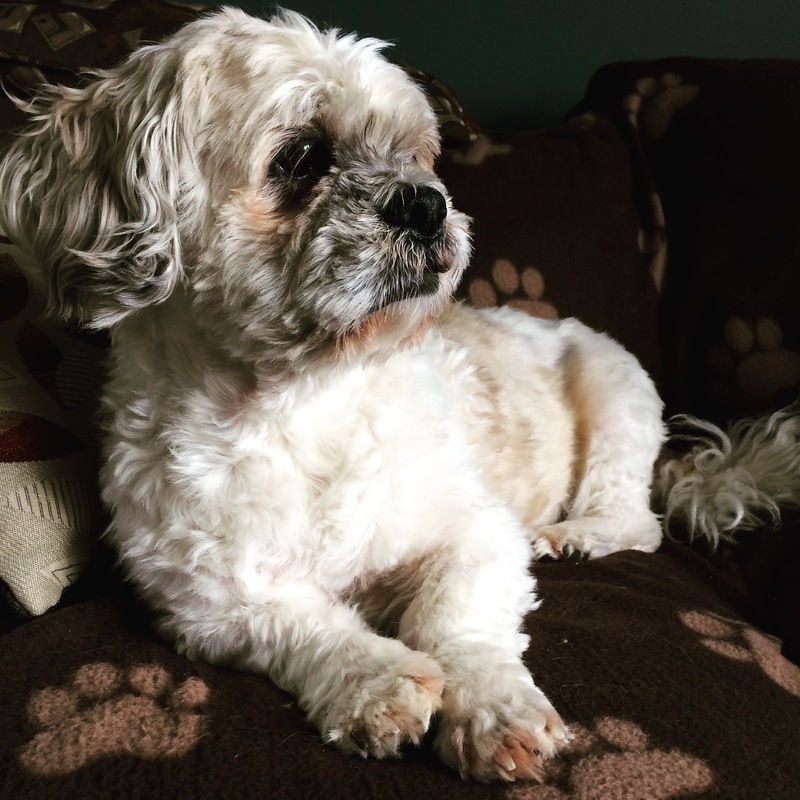 He’s going to need a home where there is someone – human or dog – always around to keep Basil company. But, seriously, look at that face and tell me you’d want to be away from him! Basil’s perfect new home has doggie friends to play with, humans to love him, and an overall atmosphere of patience, understanding and commitment to him. Basil isn’t a barky dog, but early on he will bark when left alone because of his anxiety. And that barking will go away once he learns his new routine. As Basil’s trust grows, so does his confidence. And as with almost every rescue dogs, you get to enjoy the experience of seeing an amazing personality appear. 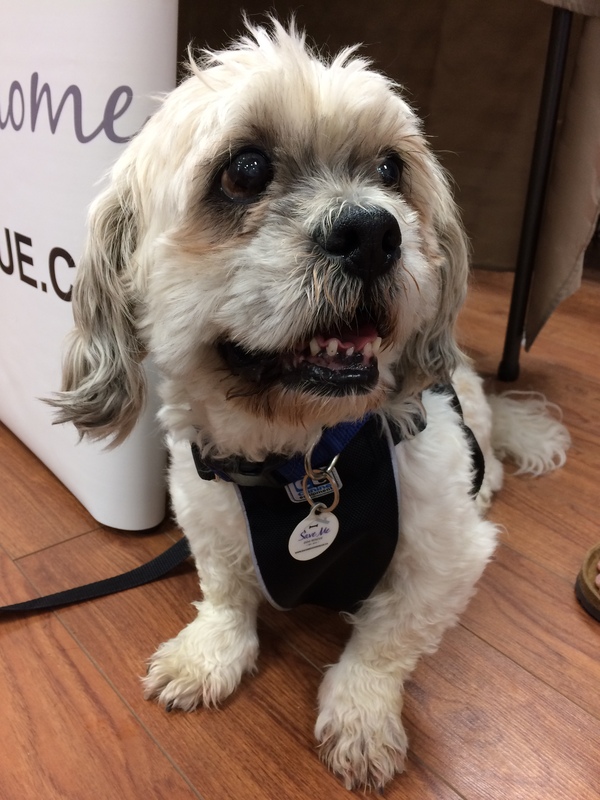 Basil’s perfect day would include snuggling next to you on the couch (FYI – he’s not a big fan of being picked up), searching for Cheerios that you’ve “accidentally” dropped on the floor and playing with his toys. But to be honest, so long as you’re there with him, Basil will be a happy boy. So is your home right for Basil? What about someone you know? Let’s find this guy his forever family, because who doesn’t love a happy ending? He’s going to make the perfect brewtripping buddy for someone and we’re hoping you’ll help us find that special someone for Basil! You can find Basil’s Save Me Rescue profile on their website. For more information, or if you have questions, you can contact Basil’s foster mom by email at pugzus@gmail.com. House trained, but hasn’t learned how to tell you he needs to go out. Needs a home where people are home a lot. Calling all retirees and work-from-home folks! Best home for Basil will have a doggy brother or sister for him. Thank you so much for this Sean & Jenny. You are both such beautiful people!! Save Me Dog Rescue is so fortunate that you crossed paths with us. Your ongoing support means the world to us!! Basil is the most wonderful boy and someone is going to find themselves with a most loving companion. He simply just wants to “be”, so easy to please.